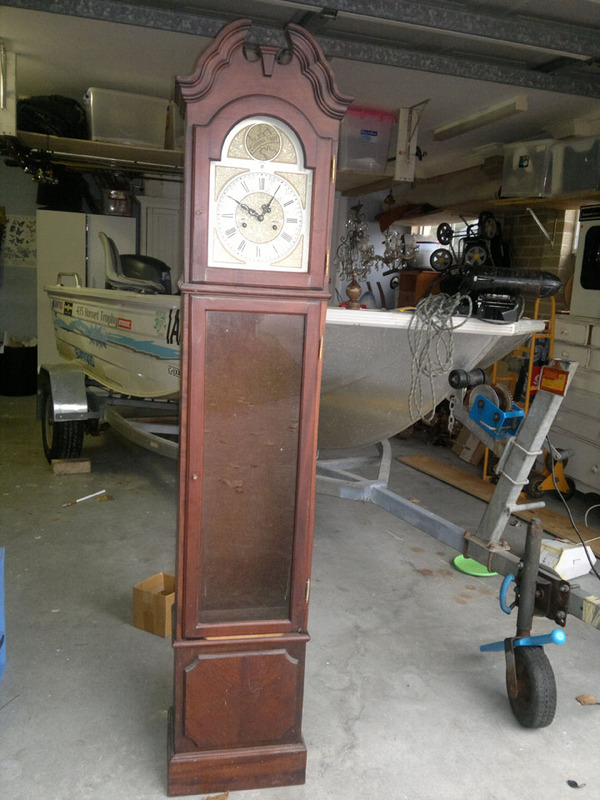 I picked up this grandfather clock for $10. ...and here it is in Caspers room. He named it the rainbow clock, and helped with the painting.